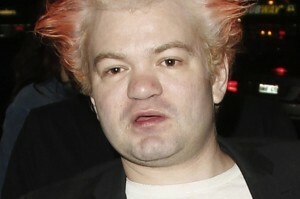 Recent pictures of Deryck Whibley suggest that he is in extremely poor health. It is obvious that his alcohol abuse has damaged him physically and, from the photos, it appears that he is so weak that he needs assistance to walk. Deryck is best known as the lead singer of Sum 41 and his band has enjoyed many hits including We’re All To Blame, Pieces and Some Say. He once dated Paris Hilton, and was married to Avril Lavigne. It is only recently that the media have picked up on news of Deryck’s alcohol problems. He entered a rehab this month (May 2014), and this is the first time most of his fans became aware of the addiction. There have been stories of bar fights, but many put these encounters down to bad luck. It is obvious from the physical state of Deryck that he has been in decline for a long time and it looks as if his entry into rehab has not come a moment too soon. In a recent post on his blog, Deryck opened up about his alcohol problems. He became seriously ill last month when his kidneys and liver stopped working. It turns out that he has been drinking particularly heavily for the last year, with this causing the severe deterioration in his health. His doctors have told him that even one more drink could be enough to kill him. Will Fear Be Enough to Keep Deryck Whibley Sober? Deryck has been lucky to escape death this time, but will this scare be enough to keep him away from alcohol? People who have never been addicted may assume that nobody would drink again after such a crisis; unfortunately, it is not that easy. The physical and psychological nature of addiction means that the pull towards relapse never really goes away. Unless people are able to build a strong sobriety, they will always be at high risk of a return to drinking. Fear can be a powerful motivator to stay sober in the beginning, but it is usually not enough to keep people away from drink long-term. The problem is that many forget how bad it was – as the old saying goes, time heals all wounds. Once individuals have rebuilt their life in recovery, they can begin to question if things were that bad when they were drinking. There can also be a tendency to romanticise the past so that things are remembered as being much better than they actually were. This combination of forgetting about the pain and exaggerating the good times puts many on the fast track to relapse. One of the other reasons why fear is often not enough to keep individuals sober long-term is that it does not ensure a better way of life. If Deryck stays sober but feels his life is boring or missing something important, he may not believe there is much point in carrying on. People need to have meaning or purpose in their life in order to stay committed. An alcoholic’s life will revolve around alcohol, so there needs to be a new strong purpose to replace this. In order for Deryck to break free of addiction, he needs a stronger motivation than fear for remaining sober. He needs to discover a better way of living because this is going to ensure his commitment going forward. One of the great benefits of going to rehab is that it provides people with all the tools they need to create a better life. It has been said that recovery is a process and not an event. Deryck Whibley is now physically sober, but this is only the first step in a longer process. He needs to now start building a better life where the need to abuse alcohol is no longer going to exist. This means developing new coping strategies and finding a new way to deal with life. We hope that Deryck will have plenty of support at the start of this journey because it can be tough to overcome the challenges of early recovery alone.